Michael Joseph Jackson (born August 29, 1958, in Gary, Indiana), is an American singer, songwriter, record producer, actor, and philanthropist. He began his career as the lead singer of the Motown act, The Jackson 5, in the 1960s, and made his first solo recordings in 1971 as part of the Jackson 5 franchise. Jackson began a full-fledged solo career in 1979 and formally parted with his siblings in 1987, and has since become the most successful recording artist in black music history, and one of the most successful solo artists in music history. He is widely known as the "King of Pop". His 1982 album Thriller currently holds the title of being the best selling album in history, it has been said that 60 million copies have been sold worldwide.. In addition to his albums, Jackson has also recorded thirteen number-one hits, including "Don't Stop 'Til You Get Enough", "Rock With You", "Billie Jean", and "Beat It". In addition to his thirteen number-one singles, he also is credited with a further four number-one singles with his brothers in the group The Jackson 5, giving him a total of seventeen number-one singles on the Billboard Hot 100 chart. His distinctive dance moves, music videos, and pop appeal have inspired and influenced many of today's singers, such as Janet Jackson, Usher, Beyoncé, and Justin Timberlake. Despite his career success, he has been dogged by media attention over allegations of child sexual abuse, which resulted in a trial and acquittal in 2005. Jackson was born the seventh of nine children in Gary, Indiana, to Joseph and Katherine Jackson. The entire family – including older siblings, Rebbie, Jackie, Tito, Jermaine, LaToya and Marlon, and younger siblings Randy and Janet – lived together in a tiny two-bedroom house, and Jackson's father earned a meager living working in a steel mill. At the behest of their mother, but against Joseph's wishes, the Jackson children were raised as Jehovah's Witnesses and practiced door-to-door evangelism. In accordance with Joseph Jackson's strict rules, the children were kept locked in their house while he worked the night shift. However, the children would regularly sneak out of the house to their neighbors’ homes, where they practiced singing and playing music. The older Jackson brothers would sometimes play Joseph’s prized guitar without his permission while he was at work. Eventually, Joseph found out about their musical abilities and decided to capitalize upon it, in order to leave Gary for California. In 1978, Michael co-starred in The Wiz as the Scarecrow, with former labelmate Diana Ross as Dorothy. The musical film's songs were arranged and produced by famed producer Quincy Jones, who found a rapport with Jackson. After Jackson signed a solo contract with Epic in 1978, he began work on his first of several albums with Jones. Michael Jackson's 1979 album Off the Wall was a worldwide hit, and spawned the number-one hit singles and music videos "Don't Stop 'Til You Get Enough" and "Rock With You". The ballad "She's Out Of My Life" also reached the top ten in 1980. With that accomplishment, Jackson became the first solo artist to have four Top 10 hit singles in the Billboard Hot 100 singles chart from a single album. The album went on to sell over seven million copies in America, establishing Jackson as a musical force without his brothers. In the 1980s, Jackson released a progression of solo albums of slickly-produced synthesizer-heavy pop. In what was perhaps the "Golden Age" of the video clip, some of Jackson's videos were virtually short films with detailed plots, special effects, and featuring Jackson's distinctive dance style. His Thriller album, released in 1982, produced seven top-ten hit singles, broke sales records, and became the best selling album in music history. The "Billie Jean" music video, released to promote Thriller, became the first video by a black artist to be aired on MTV. The seven-minute "Thriller" music video / short film became the world's best selling home video at the time (packaged with the featurette The Making of Michael Jackson's "Thriller"), and is considered by many music industry critics to be one of the greatest music videos of all time and a large step forward in artistic quality for music videos. The album's third major single, "Beat It", was another #1 pop hit in the U.S., accompanied by a popular "West Side Story" inspired music video. The videos for "Billie Jean", "Thriller" and "Beat It" frequently place highly on MTV and VH1 countdowns of notable classic videos, and receive airplay on MTV2 to this day. While performing "Billie Jean" during the Motown 25: Yesterday, Today, Forever special on television on May 16, 1983, Jackson publicly performed his moonwalk dance for the first time. In January 1984, at the American Music Awards, Jackson was nominated for nine awards, and won a record eight. At the Grammy Awards in February, Jackson was nominated for twelve awards, and won a record-breaking eight: seven for Thriller and one for his narrative on The E.T. Storybook. In May, Thriller was certified by the Guinness Book of Records as the best selling popular music album of all time. The same year, he was also awarded the H. Claude Hodson Medal of Freedom at the NAACP Image Awards, honored at the White House by President Ronald Reagan with the Presidential Special Achievement Award, and was awarded a star in November on the Hollywood Walk of Fame. By 2005, Thriller had been certified twenty-seven times platinum in the U.S. Inspired by Band Aid, Michael Jackson was instrumental in organizing the recording of the single "We Are the World", which he co-wrote with former Motown labelmate, Lionel Richie. The single was released in 1985 to raise money for USA for Africa, a charity working to raise awareness about and give aid to impoverished families in Africa. "We Are the World" featured forty-four different vocalists, including Jackson, Ritchie, Harry Belafonte, Cyndi Lauper, Diana Ross, Ray Charles and Stevie Wonder, and sold 7 million copies in the United States, becoming one of the best-selling singles of all time. In 1987, Jackson released the album Bad, and began his first solo world tour, performing to sold-out audiences across the world. The Bad world tour broke all existing attendance records. Jackson would later break the Bad world tour attendance records with the Dangerous world tour, and top those records with those for the HIStory world tour. The following year, Jackson released a film entitled Moonwalker, and an autobiography, entitled Moon Walk. Bad was another multi-platinum success for Jackson, although it was not as successful as "Thriller" had been. Its first five singles and music videos, "I Just Can't Stop Loving You", "Bad", "The Way You Make Me Feel", "Man in the Mirror", and "Leave Me Alone" provided Jackson with another string of hits, and made him the first artist to generate five number one singles off of one album. The other two singles, "Another Part of Me" and "Smooth Criminal" kept Jackson on the charts throughout the year as he toured. Jackson was awarded a new record breaking $890 million contract by Sony in March, 1991, and released his first album under the new contract, Dangerous, that November. While in the U.S., sales for the album only reached seven million, internationally Dangerous eclipsed Bad as the second best-selling album of Jackson's career, reaching over twenty-nine million albums sold. 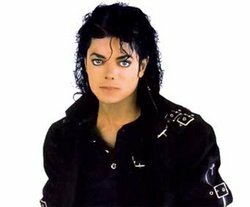 Its major hit singles included "Black or White", "Remember the Time", "In the Closet" and "Jam". As was becoming the standard for Jackson, the album's music videos were among the most costly and innovative of their time. "Give in to Me" featured Slash from Guns n' Roses in its video. The video was shot a few days before the Dangerous Tour started, in Munich in 1992. The directors were the Austrian duo Rossacher and Dolezal who shot many – if not all – of the videos and specials for Freddie Mercury and the band Queen. The video for "Heal the World" featured children and adults from throughout the world, in order to correspond to Jackson's charity of the same name. "Will You Be There" showed Jackson singing in front of scenes from Free Willy. Several of the other videos had complex storylines and dance sequences, and featured cameo appearances by celebrities. The video for "Jam", directed by David Kellogg, showed Jackson and Michael Jordan playing basketball and dancing together, while "Remember the Time" was set in an ancient Egyptian palace, and starred Eddie Murphy and Iman as the pharaoh and his queen. Also, it featured a cameo by basketball player, Magic Johnson. "In The Closet" featured Jackson and model Naomi Campbell as lovers. Michael Jackson continued to engage in door-to-door evangelizing as a Jehovah's Witness after becoming famous, but in disguise. His career and flamboyant lifestyle led to friction with congregation elders. At one point, his sister, LaToya, was shunned by Jehovah's Witnesses, and in 1987, he formally left the religion. Jackson's most famous home is his 2,600 acre (eleven square-kilometer) Neverland Ranch in Santa Ynez, California, which he purchased in 1988. It is named after the magical kingdom, Neverland, from the children's story, "Peter Pan". Jackson, a huge Disney fan, built an amusement park on the ranch, and frequently welcomes sick and poor children there to visit and sponsors charity drives for children. Jackson's relationships with children, both his own and others, have been controversial: his sleepover parties at Neverland have received widespread critical media coverage, especially after he revealed that he sometimes slept in the same bed with several unrelated children. He claims that he likes to be surrounded by children because of their sense of innocence, which he feels he lost too soon. His song "Childhood" included the lyric, "It's been my fate to compensate, for the childhood I've never known". Jackson is fond of animals: he owns a private zoo at Neverland, and was often seen with a chimpanzee named Bubbles and a snake called Muscles in the 1980s. Jackson claims that Neverland has inspired much of his work, having once told an interviewer that he liked climbing trees to write songs like "Will You Be There" and "Heal the World". Jackson is noted for his humanitarian efforts, and has often used his music, including the all-star single "We Are the World" (1985), "Man in the Mirror" (1987), "Heal the World" (1992), "Earth Song" (1995), "Cry" (2001), and "What More Can I Give" (2003) to support and promote various causes. The "Heal the World" foundation was created by Jackson in 1992, with assistance from former President Jimmy Carter. Jackson was considering a tour of Africa in May or June 2004 to raise money to fight AIDS; Zimbabwe, South Africa, and Senegal were among the countries he had planned to visit. Over the years, Michael Jackson maintained a number of high-profile celebrity friendships with entertainers such as Diana Ross, Elizabeth Taylor, Marlon Brando, Macaulay Culkin, Emmanuel Lewis, Chris Tucker, and others. Jackson is also the godfather of Lionel Richie's adopted daughter, Nicole Richie and of Barry Gibb's son Michael Gibb. Michael Jackson was hospitalized Wednesday, 6 December 1995, suffering from dehydration and low blood pressure after he collapsed on stage during rehearsals at the Beacon Theater in New York. New York Emergency Medical Service received a call at 4:51 p.m. from a security guard at the theater saying Jackson was not breathing, but when they arrived minutes later he was awake. Emergency workers determined that Jackson was suffering from exhaustion, dehydration and dangerously low blood pressure. He was released from hospital on Tuesday, 12 December 1995. Since his trial ended, Jackson has been staying in Bahrain with Shaikh Abdullah Ben Hamed Al Khalifa, the Prince of Bahrain. He recently visited Dubai (United Arab Emirates) with an eye to buying property in one of the country's new developments. Jackson has been touring Dubai with UAE champion rally driver Mohammad Ben Sulayem. Ben Sulayem remarked that the star was normal and down-to-earth: "Definitely the guy is a normal human being like us. I think he's more normal than most people. We know all about his music and his incredible career, but not many people realise what a genuinely nice person he is. He's very pleasant to be with. He's a gentleman." Jackson also took time off with fans, chatting with them and posing for photographs during his visit to Dubai. "He is still in Dubai for a few more days. He wants to see more of the city. And we would like him to come back when the temperature is more reasonable", Ben Sulayem told the press. In 1994, Jackson married Lisa Marie Presley, the daughter of Elvis Presley; the marriage was severely criticized by the media and lasted less than two years. Despite some comments questioning the validity of this union, Presley has always maintained that they both shared a normal couple's life during their time together. The separation date on divorce papers was indicated with Sunday, 10 December 1995. A day when Jackson was still hospitalized after suffering dehydration during rehearsals for his "One Night Only" special at New York's Beacon Theater. In 1996, Jackson married Deborah Jeanne Rowe, with whom he had a son, Michael Joseph Jackson, Jr. (who publicly goes by the name "Prince"), and a daughter, Paris-Michael Katherine Jackson. They were divorced in 1999. Rowe later said that she wanted Jackson to have the children as a "gift", which she had offered even while Jackson was married to Presley. Rowe had given up her parental rights to the children, but as of 2005, a family court case is under way regarding visitation. The godparents of these two children are Macaulay Culkin and Elizabeth Taylor. Around February 2002, Jackson had another son, Michael Joseph Jackson III, called both "Prince Michael II" and "Blanket", apparently with a surrogate mother whose identity has not been disclosed. In late 2002, Jackson stirred up controversy while staying at the Adlon hotel in Berlin, by briefly suspending him over the edge of a balcony so that fans could see him. Jackson defended his actions, saying that he held the child very tightly. Jackson's children are veiled or masked when they appear in public with him, which he describes as a security measure. Rowe said it was her idea from the beginning. After the children were seen in Martin Bashir's Living with Michael Jackson documetary special, many in the press and the public questioned whether Prince and Paris were actually Jackson's children, as they had no noticeable African features about them. Jackson explained that his own father is African-American, but has blue eyes, and that some of the Jackson family ancestors are Caucasian, and even Indian. However, during the interviews for the same special, Jackson revealed that "Blanket's" mother was black. There had been rumors that Jackson was having children by various women. One woman claimed that she was giving birth to quadruplets fathered by Jackson, a claim later proven to be false. Jackson had suffered the same problem two decades earlier with a woman claiming Michael was a father of one of her fraternal twins, a story from which his memorable hit "Billie Jean" was derived. Although Jackson's skin color was that of an African American for the entire duration of his youth, his skin has lightened gradually since 1982, and is today a pale melanin devoid color. Jackson has attributed his changing skin color to vitiligo, a skin disease in which the body develops antibodies against its own melanin, a body pigment, resulting in light patches and an eventual loss of all pigment. The public finally got to know of Jackson's condition when he first revealed it in an interview with Oprah Winfrey in 1993. Several members of the media refused to believe Jackson has vitiligo and believe that Jackson bleaches his skin, an allegation which Jackson denies. Jackson's family members backed up his claim, with Joseph Jackson stating that his own father (Michael Jackson's grandfather) had also suffered from vitiligo. During court depositions in 1994, both Jackson's dermatologist and his nurse (later his wife) confirmed the diagnosis. After going to a hospital, Jackson claims he finally received the news when his doctor diagnosed him with the disease in 1981. Ever since then, Jackson has regularly worn long-sleeved shirts and pants under an umbrella while in public to hide from the sun, which he says he's allergic to because of his condition. Jackson has allegedly used extensive plastic surgery to modify his appearance, although he claims to have had only three operations: two rhinoplastic surgeries – the first of which he claims was to repair a broken nose resulting from a dancing accident in 1978, and the second to correct imperfections in the first surgery – and the surgical creation of a cleft in his chin. When listing his cosmetic surgery, Jackson often omits mentioning the cleft; however, he confirmed this surgery in his 1988 autobiography, Moon Walk. Jackson's use of plastic surgery has caused increased concerns of a possible cartilage and nose collapse. Surgeons interviewed for various tabloid articles agree that Jackson's nose structure could easily collapse during an altercation. In 2000, Jackson reportedly had his collapsed nose corrected by a new plastic surgeon, who used cartilage taken from one of his ears to rebuild the nose's structure. This tabloid report was never confirmed. Jackson's ATV/Sony music publishing company is estimated to be worth USD 1.5 billion. In October 2002, various international banks claimed that Jackson was tens of millions of dollars in debt. That same month, concert promoter, Marcel Avram, sued Jackson in a court in Santa Maria, California, claiming that he reneged on a deal to perform on a series of millennium concerts crossing the International Date Line on the evening of December 31, 1999–January 1, 2000. Jackson lost the case, and is appealing. He has been involved in a legal dispute with his former financial adviser, Union Finance and Investment Corporation of South Korea, who claim that Jackson owes the firm twelve million dollars in fees and expenses, and that Jackson's extravagant spending may lead to his bankruptcy (even though there is no way to go bankrupt, having assets that cost hundreds million dollars more than liabilities). See also Jackson's finances in connection to the trial. Michael Jackson has also repeatedly been accused of child sexual abuse. In 1993, Jordan Chandler, the son of former Beverly Hills dentist Evan Chandler, accused Jackson of sexual molestation, represented by civil lawyer Larry Feldman. Jackson was served a search warrant to have the Santa Barbara Police Department, headed by District Attorney Tom Sneddon, view his body. Jackson later complained in a December 22, 1993 press conference that the officers violated his privacy, by photographing his body in order to look for some marks allegedly described by the young accuser. Jackson settled out of court with the accuser for at least USD 25 million. Jackson's settling out of court brought suspicion among the media, some of whom claimed that Jackson avoided a trial because he was afraid he would have been proven guilty. The victim's parents were criticised for not filing criminal charges against Jackson, making it appear that they were simply attempting to extract money from him. Others debated whether Jackson chose to settle or was forced to by his insurance provider. When interviewed by Bashir, Michael Jackson confirmed that the 1993/1994 settlement was his own personal decision. In 2003, Jackson was accused of sexual molestation by a second young accuser, Gavin Arvizo, who appeared with Jackson on the Living with Michael Jackson television documentary. Like Chandler, Arvizo was represented by civil lawyer Larry Feldman, and an investigation was once again launched by Sneddon. Jackson was served a search warrant for Neverland, and the singer was arrested in November 2003. In the prelude to the trial, Jackson allowed a high profile visit of children to Neverland in December 2004. Michael Jackson's spokesperson provided the press with a list of non-profit children's organizations which had sent the children. According to Court TV, most of these organizations turned out to be either non-existent or were upset that they were falsely associated with the visit. The criminal case was tried in Santa Maria, California during the spring of 2005. On June 13, Jackson was acquitted of all charges. CNN later reported that two of the jurors, Ray Hultman and Eleanor Cook, claimed to regret their decision to acquit Jackson, and announced impending books on their experiences in the trial. A civil (non-criminal) suit filed by Joseph Bartucci over allegations of abduction and sexual assault is currently pending in Louisiana. . Jackson did not appear for the August 17, 2005 court date, and was fined USD 10,000 as a result. The next court hearing was scheduled for September 7, 2005 but was cancelled as a result of Hurricane Katrina. Janet Arvizo whose son accused Jackson of child molestation was charged with welfare fraud on August 23 for allegedly collecting nearly $19,000 in payments while making false claims. During her testimony at the Jackson trial, Arvizo cited the Fifth Amendment against criminal self-incrimination in refusing to answer questions about how she succeeded in illegally obtaining welfare payments while having more than $30,000 in the bank. During the defense case, a Jackson lawyer walked a California Department of Social Services representative through Arvizo's welfare applications, pointing out how she repeatedly failed to disclose, as required by law, assets and financial assistance she was receiving. Among many devastating brickbats tossed at Arvizo during the Jackson trial, the welfare fraud allegations were particularly damaging since they appeared to be backed by government documents (not to mention that Arvizo refused to address them for fear of incriminating herself). She has plead not guilty to all charges brought against her. A status hearing has been set for October 28, 2005. Jermaine Dupri, a close family friend has said "If I was him, I would have gone on `TRL' immediately and said look, `Everybody who wanna say something about me, good, y'all could say whatever y'all wanna say, there's nothing you can say about me at this point, no more than what just happened," Dupri is dating Jackson's sister Janet. Though some have doubted whether the pop star could make a successful comeback, Dupri says Jackson has a "quality" that will always keep people interested, "If Michael Jackson came in this room right now, there would be no one in this room who could not stop looking at him. As long as you've got that power, you're never damaged," Dupri told The Associated Press in a recent interview. "He has that power over anybody. If people can't stop looking at you, you're so interesting to people, there's no way you can be damaged."